Smashing Pumpkins fans, we’ve got some exciting news for you!! The legendary 90s alternative rock group are spinning straight off the back of their 30th anniversary tour into another massive jaunt around the US!! 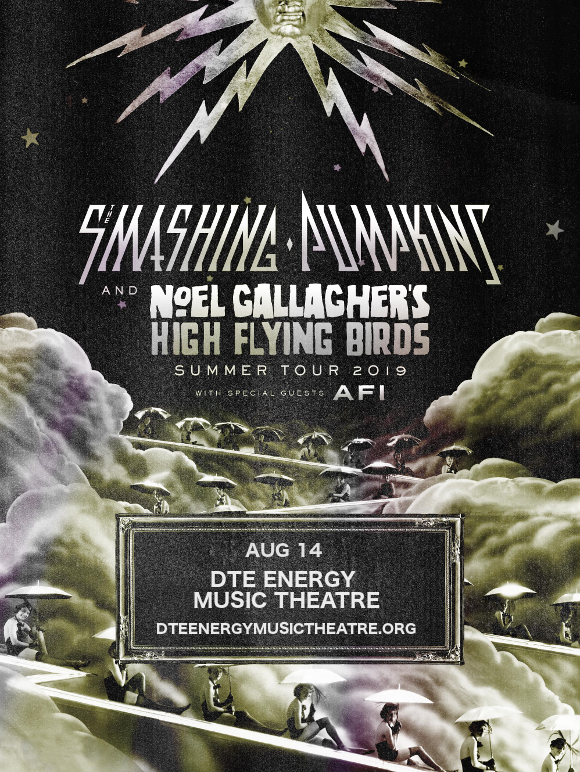 The celebration lives on at the DTE Energy Music Theatre on Wednesday 14th August 2019!! Get ready to party with the band live – book your tickets NOW while you still have the chance!! During the 90s, the Smashing Pumpkins were one of the biggest and most influential bands around. Starting out as a punk-rock outfit and breaking into the mainstream with their sophomore album “Siamese Dream”, the group gradually expanded their repertoire to include influences from genres as diverse as heavy metal to dream pop. To date, their 11 albums have sold millions worldwide and influenced countless artists since in a wide variety of genres. Now, the band are on tour with their latest album “Shiny and Oh So Bright, Vol. 1 / LLP: No Past. No Future. No Sun”. It may be 30 years on, but frontman Billy Corgan’s songwriting skills remain as strong as ever – the album was received warmly by audiences and critics alike. “The heavier moments refuse to act as a sledegehammer of alt-rock pastiche, which this record could so easily have been,” enthused an NME review. “Instead, it’s a showcase of songcraft that’s allowed to breathe and reveal itself. Bring on volume two. The dream lives on." Now, get ready to experience that dream in person!! Have you got your tickets to see the Smashing Pumpkins yet?? You’d better hurry if not – they’re not going to hang around for long!